I placed my order on Friday, and I received it on Monday! It was quite fast and the transportation fee is Euro30! It came with a box and a piece of cotton! I do love everything about this wallet, I love the design, the brand, the leather and this wallet is quite different compared to the other wallets I have! This one is more durable, I don't need to worry it gets dirty or that there are scratches on it! I can use it a much relaxed way than other wallets that I own! But I feel a bit disappointed of the quality, when I hold the wallet, it hurts my hand by the unfinished lines(*hard to explain, check out my video and below photo)! 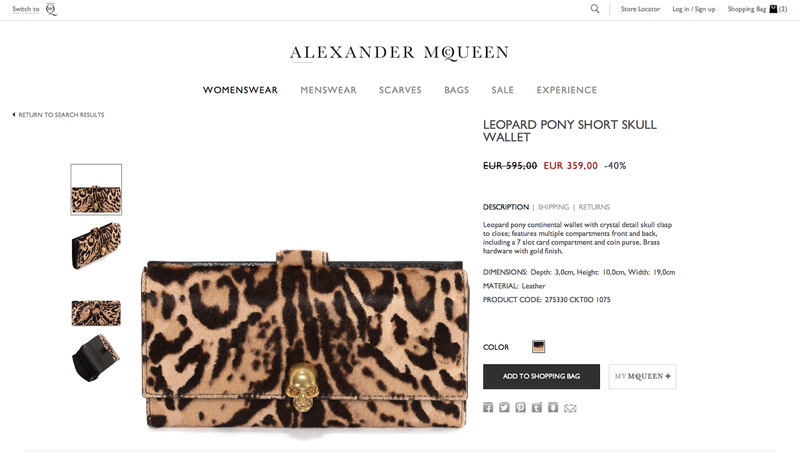 Also, the behind compartment with the gold button lock looks cheap(*below photo)! The original price is quite expensive, for a similar price you can buy a Chanel wallet! For that price and a big brand, they should make it better than that! I can return it but I consider it is a sale item and it is the last one, and I do love it so much, so I just decided to keep it! 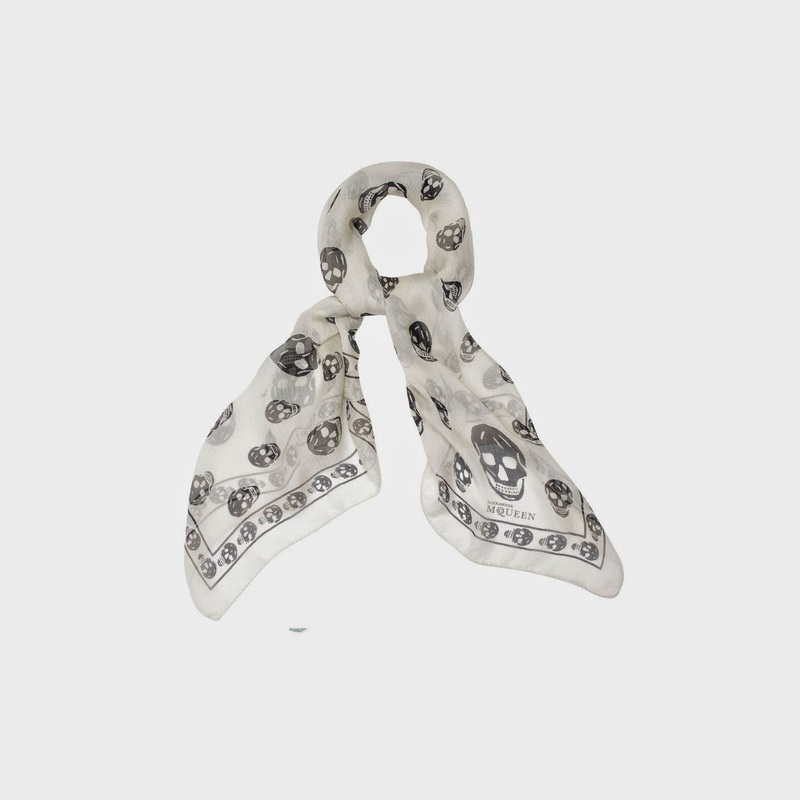 I also got a Alexander McQueen silk scarf! 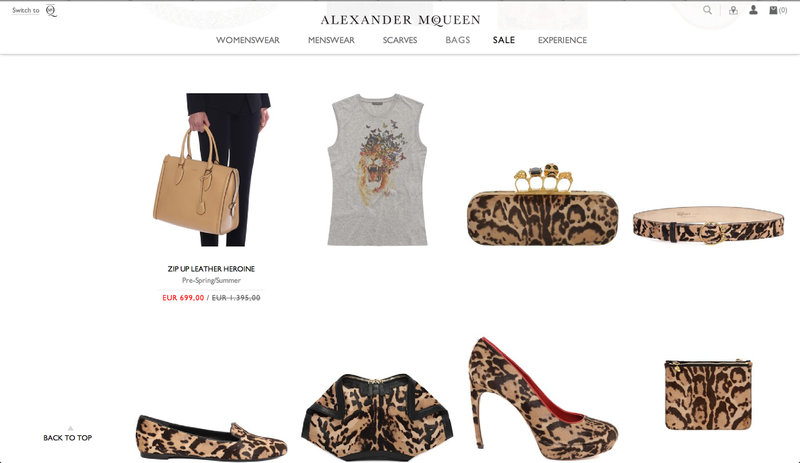 I wanted a Alexander McQueen silk scarf for more than 2 years! When I was in London 2 years ago, I already wanted to get one but at that time, I bought a Chanel GST, so I didn't get it! And, there is no store in Switzerland, I know I can order it online, but I need to pay the post fee Euro 30 and the local tax fee, which costs almost half price of the scarf! I thought it was not worth to get it online, so I was waiting travelling to other countries to get it! But because I ordered the wallet on sale, (and anyway I needed to pay the post fee), so I just couldn't wait anymore to get it at the same time=) So here we are! Hope you enjoy this kind of sharing! I do some other online shopping on Zara Sale(*Zara app) and on astridandmiyu.com! If you are interested it, remember to subscribe my channel and stay tuned!=) Like the videos if you enjoy my videos=) New videos every Wednesday & Sunday=) Thank you so much for your support! Don't forget to follow my blog via GFC/Bloglovin/Google+ to let me know someone do love my blog too! Thank you for this lovely post and video!